The Explore universe has three different climbing systems. The starting point is the same – how big a climbing net do you want? 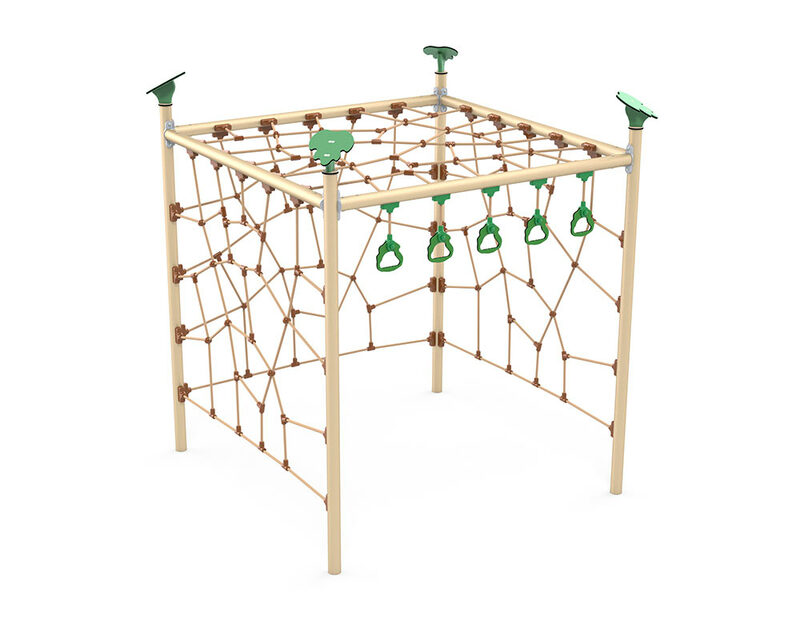 The smallest climbing net is Mira, Askal is our medium model, and finally there is Manco, the large climbing net system. Playing on climbing nets isn’t just fun, it’s also good for you. The major muscle groups, motor skills, and in particular balance are all put to the test when children are in full swing. At the same time, playing on the nets requires many cross-movements between arms and legs. This helps to strengthen coordination between the two sides of the brain, which is important when children are learning to read and doing mathematics. All our climbing nets are made of Taifun rope which has a strong core comprising a total of 48 steel wires. In practice, this means a breaking strength of 4,500 kg. The climbing nets are therefore extremely resistant to vandalism and ensure a stable construction.